It’s a rare thing in the world of football for a goalkeeper to score a goal spectacular goal like Baroka FC goalkeeper Osacrine Masuluke did. 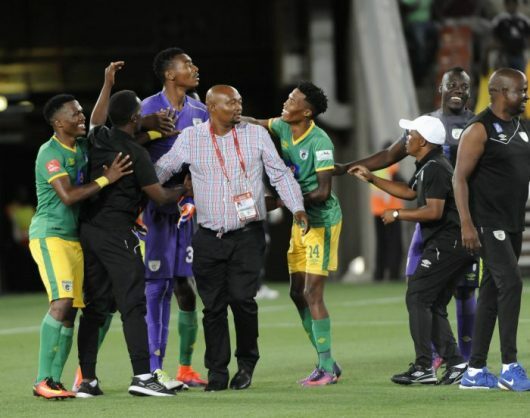 Orlando Pirates looked set to walk away with all the three points in their encounter against Baroka FC at Peter Mokaba Stadium on Wednesday night until the Bakgaga goalkeeper scored a stunning injury time equaliser. Masuluke left his goal to come forward for a last gasp corner, with his team 1-0 down in the final minute of injury time. Pirates failed to clear the ball properly, and it sat up nicely for Masuluke to not only score a rare goal by a goalkeeper, but with a spectacular bicycle kick. The strike made international headlines, as the Telegraph, The Sun and ESPN shared the goal on their Twitter feed.